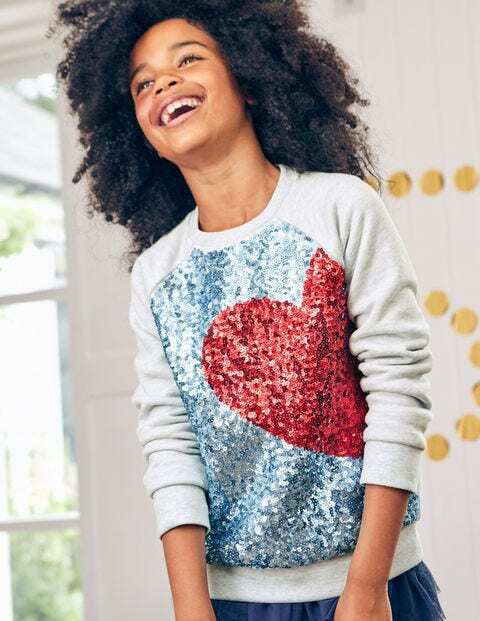 We added all the pretty things we could think of to this sweatshirt. Fun picture? Yes. Sparkly thread? Yes. Sequins? Of course. Our raglan style piece has the same cosy feel as an old-favourite jumper, with a ribbed hem and cuffs, but it's waaaay more fun to wear. There's even a colourful trim inside that matches the top's design – yes, we really did think of everything.